In the last in my series of posts re: concerns I have with the AAIDD 11th Edition ID definition and classification manual, one point I raised (re: my concern for the AAIDD "stuck on g" position) was the fact that individuals with ID/MR should not be stereotyped as having a single type of cognitive disability (simply poor g---which also implies, for many, a "flat profile" of cognitive abilities). Although not so stated in the AAIDD manual, the elevation of general intelligence to such high status, combined with statements that current intelligence measures are not available to reliably and validly assess multiple cognitive abilities (a statement that is simply wrong--see PPT show link in last post in series), implicitly has the potential to convey this stereotype. I argued that individuals with ID/MR show just as much heterogeneity in profiles of cognitive abilities as individuals without ID/MR. This past week a colleague reminded me of one article that makes my point clear. Within the field of ID/MR, there are a number of rare genetic-based disorders. Such genetically-based disorders typically result in a greater degree of similarity (homogeneity) among individuals with the condition. Williams syndrome (WS) is one such ID/MR disorder. Of course, individuals with WS are not those being evaluated in typical Atkins death penalty cases, but the common assumption and lore is that WS individuals show a "syndrome-specific pattern of cognitive strengths/weaknesses"----high verbal abilities and much lower visual-spatial abilities. I would argue, as have others, that this WS syndrome-specific cognitive stereotype is largely due to the fact that historically MR/ID researchers only had the V/P organized Wechsler batteries as their primary IQ battery...and that the "profile" may be due to this research being constrained by batteries that did not validly measure a greater breadth of cognitive functioning. This is not a criticism of the past research, as researchers had limited theories of intelligence and measures of constructs from which to work. However, now that CHC theory has emerged as the consensus psychometric model of cognitive abilities and, more importantly, there are a significant number of well-standardized and psychometrically sound IQ batteries of multiple cognitive abilities, I'm not surprised that a syndrome with a strong genetic core, which typically results in more within-group similarity, when measured by more contemporary CHC-based IQ batteries display considerable variability/heterogeneity in patterns of cognitive abilities. Below is the abstract for 2005 study that reported that WS individuals do NOT display the classic and historical syndrome-specific pattern of cognitive strengths and weaknesses when measured with a more contemporary CHC-based cognitive battery (WJ-R: conflict of interest note--I am a coauthor of the next edition..the WJ III). This study clearly suggests that even a population of individuals with a shared genetic causal mechanism display significant individual differences in patterns of cognitive abilities. If this is found in ID/MR populations with a strong shared genetic causal mechanism, one would be hard-pressed to argue that such variability does not exist for more milder forms of ID/MR and the general population. My point (again)---I'm very concerned that the AAIDD 11th Edition ID manual's "stuck on g" position is out of synch with contemporary intelligence theory and measurement and has the potential to cause serious harm when potentially life-altering decisions are made on the basis of a single g-based composite IQ scores that ignores the heterogeneity of human cognitive abilities across the ability spectrum and different disorders. This study used the Woodcock-Johnson Tests of Cognitive Ability-Revised to investigate a wide range of cognitive abilities in people with Williams syndrome (WS). It involved a comparatively large sample of 31 people with WS, but took a case-series approach. The study addressed the widespread claims of a characteristic "WS cognitive profile" by looking for heterogeneity rather than homogeneity. People with WS showed a variety of preserved (significantly above mental age [MA]), expected (at MA), and significantly impaired (significantly below MA) levels of functioning. Such results provide clear evidence for heterogeneity in cognitive functions within WS. We found the most homogeneity on a test of phonological processing and a test of phonological short-term memory, with half of the WS sample performing at MA levels on these tests. Interestingly, no WS individual showed a weakness on a test of nonverbal reasoning, and only one WS individual showed a weakness on a test of verbal comprehension. In addition, we found that strengths on analysis-synthesis and verbal analogies occurred only for WS individuals with an MA less than 5.5 years (our sample median MA); people with an MA greater than 5.5 years performed at MA level on these 2 tests. Results also provided preliminary evidence for distinct subgroups of WS people based on their cognitive strengths and weaknesses on a broad range of cognitive functions. On the basis of the findings, caution should be made in declaring a single cognitive profile that is characteristic of all individuals with WS. Just as there is heterogeneity in genetic and physical anomalies within WS, not all WS individuals share the same cognitive strengths and weaknesses. Also, not all WS individuals show the profile of a strength in verbal abilities and a weakness in spatial functions. PsycCRITIQUES. Vol 55(4),2010, No Pagination Specified. Note: Your library may have purchased access to this information through another service provider. The following article is available as "open access" from the Journal of criminal Law and Philosophy. The article can be accessed and read by clicking here. Abstract: Various authors debate the question of whether neuroscience is relevant to criminal responsibility. 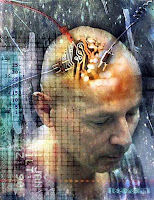 However, a plethora of different techniques and technologies, each with their own abilities and drawbacks, lurks beneath the label “neuroscience”; and in criminal law responsibility is not a single, unitary and generic concept, but it is rather a syndrome of at least six different concepts. Consequently, there are at least six different responsibility questions that the criminal law asks—at least one for each responsibility concept—and, I will suggest, a multitude of ways in which the techniques and technologies that comprise neuroscience might help us to address those diverse questions. In a way, on my account neuroscience is relevant to criminal responsibility in many ways, but I hesitate to state my position like this because doing so obscures two points which I would rather highlight: one, neither neuroscience nor criminal responsibility are as unified as that; and two, the criminal law asks many different responsibility questions and not just one generic question. This is my third (and final) comment in my series of comments re: the intellectual component of the new AAIDD ID/MR definition and classification manual. I urge readers, if they have not done so, to read my original post. In the first post I outlined the reason for the series. I also highlighted positive features of the AAIDD component (chapter 4) of the manual and acknowledged that no manual will be perfect. In the second post, I presented a comparative analysis of the literature cited in the 2002 and 2010 manuals regarding the nature and definition of intelligence. It was my conclusion that the 2010 manual (11th edition-the green book) failed to incorporate significant consensus-based advances regarding the nature of psychometric theories of intelligence and contemporary intelligence tests based upon these theories. This final post is intended to provide the foundations for the conclusions in my second critical analysis post. To be honest, I've struggled with how to articulate these concerns in a brief format. This has been the major reason for the delay in this final post. I've struggled with not wanting to be a simple critic who does not offer substantive evidence or guidance. More importantly, I did not want to be a critic who did not try to help rectify the issues identified. Thus, I decided to take a more ambitious educational approach to my concerns regarding the AAIDD ID 2010 manual. Thus, my final post in the form of a lengthy PowerPoint presentation that is intended to educate and provide background information regarding my criticisms. Description of presentation: This presentation traces the evolution of psychometric theories of intelligence from Spearman's g to contemporary CHC. In addition, it simultaneously tracks the evolution of psychometric tests of intelligence as they relate to psychometric theories. Finally, there is a special emphasis on tracking changes in the AAMR/AAIDD intellectual disability (mental retardation) classification manuals over the same period. It is concluded that despite significant advances in psychometric theories of intelligence and contemporary psychometric intelligence tests, the official 2010 AAIDD manual is significantly behind these developments. The 2010 AAIDD manual is "stuck on g" and has failed to incorporate advances in both psychometric theories and tests of intelligence. A significant intelligence theory--AAIDD ID/MR definition gap exists tat has potential serious consequences for individuals with ID/MR. Below is my final set of critical summary comments (2nd slide from the end) presented at the end of the presentation. Contemporary intelligence scholars, experts, and test developers recognize that although g (general intelligence) may exist at the apex of the CHC taxonomy of human cognitive abilities, there are broad (stratum II) abilities that are important (i.e., have differential validities) that can be assessed and, when interpreted appropriately, can provide a more valid and multidimensional picture of an individuals intellectual functioning. AAIDD’s continued use of the statement (with regard to measurement of multiple cognitive abilities) that “until such measures of multiple intelligences can be assessed reliably and validly, it is the position of AAIDD that intellectual functioning…is best conceptualized and captured by a general factor of intelligence” is simply wrong! Reliable and valid measures of the broad CHC ability domains exist and have been published in most intelligence batteries published from 1989 to 2008. The AAIDD g-position is at odds with the known heterogeneity of abilities within the ID (and general) population and fails to recognize that although a g-based total composite score may often represent the best single index of a person’s intellectual functioning, often the g-based composite score may lead to inaccurate conclusions regarding a person’s intellectual functioning and in these cases more attention should be focused on the component part scores. The stuck on g position has the potential to result in serious consequences for individuals, such as denial of special education services; denial of SS benefits, and unjust execution as in “Atkins MR/ID death penalty cases”. As I stated in my original post, "ideally I hope that my forthcoming critical comments, combined with a spirited back-and-forth dialogue, will produce productive scholarly discourse, discourse that may result in AAIDD upgrading/revising their current written statement regarding the first prong of an ID diagnosis—intellectual functioning (Chapter 4) via new position papers or journal articles, web-based clarifications, and/or the publication of more specific professional guidelines." Finally, I extend an invitation to members of the committee (that drafted the 2010 manual) to forward me any professional responses to my series, which I will post as "guest post responses" at the ICDP blog. In the past I've added new ICDP-related blogs to the blogroll without announcement. Today I'm going to start posting brief FYI notes when I add a new blog the the blogroll. Today I'm adding the Prison Law Blog. Thanks to Kevin Foley (again) for sending me a batch of Atkins decisions from the state of Arkansas. Due to time constraints, I'm posting without comment. They have been added to the Court Decisions blog sidebar. Another Atkins decision from the state of Texas (Hall v Quarterman, 2008, 2009). Due to time constraints, I'm posting without comment. It has been added to the Court Decisions blog sidebar. A major function (and currently the primary function) of the ICDP blog is to be a clearinghouse on Atkins related decisions. As indicated by the number of Court Decisions posted to date (n=67; with a backlog of at least 1/2 dozen more), the blog has been successful in this clearinghouse function. However, it is often hard to determine what actually transpired during the oral arguments that resulted in a final decision. I do not have access to legal databases (Lexis/Nexus) and have been fortunate to have a number of individuals (Kevin Foley in particular) who find and send me most all official documents I post. However, even those who have access to these legal databases have difficulty securing copies of transcripts of the actual oral arguments behind decisions. Thus, although I could end up regretting the decision to make this "all call" post (as I have trouble keeping up with the current flow of information being sent to ICDP), the purpose of this post is to request attorneys that work on these cases to forward any trial court related documents (esp. transcripts of oral arguments or links to PDF, MP3, or video's of the arguments; Amicus Briefs; psychological reports) to the blogmaster (iap@earthlink.net). Obviously, this "all call" will only work if attorneys read this blog and notify others of its existence. So...if you are an attorney who visits this blog with any regularity, please consider sending any of the documents described above (related to Atkins cases) and notify other attorneys of the existence and purpose of the ICDP. Thank you. The success of this blog has hinged largely on a small group of dedicated professionals who send me copies of documents. The continued success of the clearinghouse function will depend on the contributions of others. And, attorneys involved in Atkins cases have an open invitation to submit guest blog posts for possible posting. As discussed previously, the Flynn Effect (adjusting IQ scores downward due to the date of the norms of an intelligence test---click here for definition; click here for all prior FE related posts at IDCP) is a critical psychometric issues raised with regularity in Atkins MR/ID death penalty cases. Although the FE is generally accepted as a scientifically and empirically-supported finding among intelligence scholars and applied intelligence test developers (although the "why" of the FE is still being debated), the FE concept is sometimes challenged as per scientific validity (Daubert challenges) Atkins cases. Kevin Foley, a regular guest blogger here at ICDP (who has a tremendous database of literature re: Atkins cases) has located a few Daubert challenges. In the Kevin Green matter, there was a Daubert challenge to the Flynn Effect. Although the analysis was brief, the judge allowed the use of the FE and concluded that, " In addition to these indications that the Flynn Effect is widely accepted in the profession, the experts testifying during the evidentiary hearing all accepted that there is a Flynn Effect which causes, or at least caused through the 1990s, IQ scores to rise over time." the known or potential "error rate" of the "Flynn effect" as it applies to a specific I.Q. test result. Click here for a copy of the document. As far as we know, the Cathey case is in the discovery phase. Finally, the blogmaster (Kevin McGrew) is aware that a psychological assessment journal has organized a special issue dealing with the FE. How do I know? Well.....I've been provided copies of the two featured FE-related articles a as I agreed to be 1 of a number of responders to the two key articles. I don't have permission to share the name of the journal, who wrote the two central articles, or whom else is responding at this time. But...it is clear that scholars in intelligence theory and testing are raising some new questions re: the FE. It is clear the the "heat is being turned up" on the FE both in the court of law and the court of psychological research. During the next year there are going to be a number of important new research articles published re: the FE. ICDP will post information regarding these reports as soon as it is possible. Kevin Foley, a regular guest blogger here at ICDP, sent me copies of Green v Johnson (VA, 2006, 2007, 2008) court decisions. He also shared his analysis of the decisions in the following guest post. Kevin Green’s mental retardation claim (or Atkins claim) has gone from the Virginia courts to the federal courts all the way to the U.S. Supreme Court. After the Virginia Supreme Court held that Green’s mental retardation claim was frivolous, Green filed for habeas corpus relief in the federal district court for the Eastern District of Virginia. The matter was referred to a magistrate judge who ruled that the Virginia Supreme Court’s resolution of the issue was unreasonable. Thus, Green was granted an evidentiary hearing in the federal district court. Despite a significant effort by the magistrate judge to resolve the mental retardation (ID) claim, the judge took the easy way out when determining the first prong of mental retardation– Green’s current level of intellectual functioning. The magistrate judge “punted” on three important issues – one, determining if Green was malingering, and if so, what effect such behavior had on any IQ test scores; two, resolving issues involving scoring errors; and three, in the end, failing to determine Green’s current level of intellectual functioning. Whether talking about physical tests or mental tests, the results from testing are only useful if the person gives a full effort. Anything short of a complete effort will provide an incomplete picture. Kevin Green had been assessed a number of times over the years. Prior to Atkins he was assessed in conjunction with an incarceration, and the state psychologist felt he was malingering. At his murder trial in 2000, a defense psychologist administered a short form IQ test, on which Green obtained an IQ score of 55, and the psychologist opined that Green was mentally retarded. “He further testified Green’s performance on a test specifically designed to test for malingering, showed that he was not malingering.”  A prosecution expert at the 2000 trial tested Green using the WAIS-III and obtained a full scale IQ score of 74. The prosecution expert “testified that Green was malingering on the tests, and that while it is possible to fake a lower IQ score, there is no way to fake a higher score.” Green had a second trial after his conviction was reversed on appeal, which was conducted in late 2001. For the second trial, the defense expert administered the WAIS-R to Green and obtained a full scale IQ score of 74. “Based on all of the evidence presented, this Court finds that Green has met his burden of proving by a preponderance of the evidence ‘significantly subaverage intellectual functioning [which originated before the age of 18 years] as demonstrated by performance on a standardized measure of intellectual functioning administered in conformity with accepted professional practice’”. The magistrate judge dropped the ball. First, he should have decided the malingering issue. Second, he was wrong when he ruled that the IQ test score from age 13 sufficed to prove “‘significantly subaverage intellectual functioning [which originated before the age of 18 years] as demonstrated by performance on a standardized measure of intellectual functioning administered in conformity with accepted professional practice’”. The court was quoting from the applicable statute, Virginia Code § 19.2-264.3:1.1, which defines mental retardation as, “a disability, originating before the age of 18 years, characterized concurrently by (i) significantly subaverage intellectual functioning as demonstrated by performance on a standardized measure of intellectual functioning administered in conformity with accepted professional practice . . . and (ii) significant limitations in adaptive behavior”. 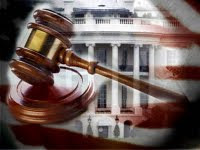 The statute goes on to state that, “ Assessment of intellectual functioning shall include administration of at least one standardized measure generally accepted by the field of psychological testing and appropriate for administration to the particular defendant being assessed . . . Testing of intellectual functioning shall be carried out in conformity with accepted professional practice” (emphasis added). As with the major definitions of mental retardation, the Virginia statute makes it clear that the assessment of mental retardation requires results from current IQ testing, along with a current assessment of adaptive behavior, coupled with evidence showing onset before age 18. The magistrate judge’s quote left out the highlighted words from the statute, and made it appear that the statute only requires an IQ score from before age 18. This is an example of creative judging, but not good judging. Third, the magistrate judge ignored the fact that IQ scores from age 13 are not considered to be stable and life-long. No self-respecting psychologist would say that a person’s IQ score at age 13 represents that person’s current intellectual functioning at age 40. According to the National Research Committee that examined mental retardation assessment, “Among children and adolescents between the ages of 6 and 16 years, total test scores should be considered valid for as long as three years.” Thus, all the magistrate really did insofar as intellectual functioning was concerned, was to determine what Green’s level of intellectual functioning was at age 13. Obviously, there is a correct way to score questions on an IQ test, even though scoring errors are relatively common. If an error was made in scoring, then the court should have corrected it. This was an issue at the hearing and testimony was taken about the issue. The court should have determined the issue, not ducked it by saying Green did not use the magic words “was not administered and scored in accordance with accepted professional practice.” Interestingly, one federal appeals court reversed a case where the district court refused to consider an affidavit from an expert which appeared to show that a prosecution expert improperly administered and scored an IQ test. The court did so, not to allow the district court to duck the issue, but to have the court to address the issue and correct any errors. 1 Green’s Virginia Supreme Court decision on his state habeas claim is styled, Green v. Warden of Sussex I State Prison, No. 040932 (Va., Feb. 9, 2005). Green later filed a motion for a rehearing in the Virginia Supreme Court, adding that the court should consider and apply the Flynn Effect and the standard error of measurement. His motion was denied. Green v. Johnson, 2006 U.S. Dist. LEXIS 90644 (E.D. Va.) at pg. 34, adopted by, 2007 U.S. Dist. LEXIS 21711 (E.D. Va.), aff’d., 515 F. 3d. 290 (4th Cir. ), cert. denied, 128 S. Ct. 2527 (2008). 3 Green (Magistrate), id. at LEXIS pg. 32. The magistrate judge’s recommended decision later states that Green’s trial expert actually administered three tests to screen for malingering. Id. at 52. 4 Green v. Johnson, 515 F. 3d. 290 (4th Cir. ), cert. denied, 128 S. Ct. 2527 (2008), Slip op. at 6, quoting from, Green v. Commonwealth, 580 S.E.2d 834(2003), cert. denied, 540 U.S. 1194 (2004). When Green filed for habeas relief in the Virginia Supreme Court, he attached an expert’s affidavit to his petition which stated that the Ammons & Ammons Quick Test, “is not a reliable test, as it was last normed prior to 1962.” Green (Magistrate), LEXIS pg. 35. 5 Green (magistrate), supra at LEXIS pg. 35. 6 Green called “Matthew H. Scullin, Ph.D., an expert in the field of psychology and evaluating the reliability of IQ test scores and Daniel J. Reschly, Ph.D., Chair of the top-ranked Vanderbilt University Department of Special Education and an expert in the diagnosis of mental retardation and in the field of psychology. Id. at LEXIS pg. 35 (record citation omitted). The state called Dr. Pasquale again and “Roger B. Moore, Jr., Ph.D., an expert in the methodology and diagnosing of mental retardation”. Id. 7 Green (Magistrate), supra LEXIS pg. 52. 9 Mental Retardation: Determining Eligibility for Social Security Benefits 126 (2002), available for reading online at www. nap.edu. 10 Green v. Johnson, 2006 U.S. Dist. LEXIS 90644 (E.D. Va.), adopted by, 2007 U.S. Dist. LEXIS 21711 (E.D. Va.), aff’d., 2008 U.S. App. LEXIS 2967 (4th Cir. ), cert. denied, 128 S. Ct. 2527 (2008). 11 See Lewis v. Quarterman, __ F. 3d ___ (5th Cir., Case No. 07-70024, Sept. 10, 2008). 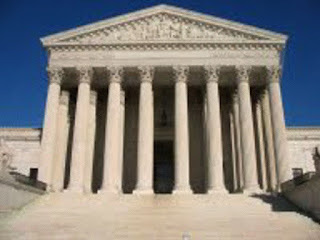 Complete Wood v Allen SCOTUS decision can be read at link below. 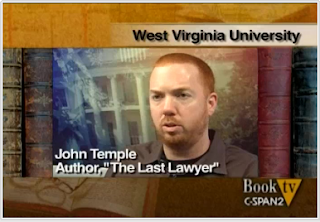 See John Temple (The Last Lawyer) CSPAN interview. mentioned it at the ICDP blog. Link below. More on SCOTUS Wood v Allen decision. The Supreme Court on Wednesday upheld the death penalty for an Alabama inmate whose attorney declined to present evidence about the man's mental deficiencies to a jury deciding his fate. The 7 to 2 ruling was notable because it was written by Justice Sonia Sotomayor, her first full opinion on capital punishment since she joined the court. She said that while the wisdom of the lawyer's decision might be "debatable," it was not unreasonable to think he had made a strategic decision that kept out more damaging evidence about his client. The ruling came as the court indicated that a long-awaited decision in another case might be at hand. The justices took the unusual step of adding a session Thursday to issue opinions, prompting speculation that it might be ready to announce its much-anticipated ruling about the role of corporate spending in election campaigns. The court never says in advance what it will announce, but the political world has been awaiting the court's decision in Citizens United v. Federal Election Commission. The case, first argued last spring, was reargued in September to consider whether it is unconstitutional for Congress to forbid corporations and labor unions to use their treasuries to bankroll ads for and against candidates. Those who advocate greater government control over campaign contributions say a court decision in the affirmative would revolutionize the way political campaigns are funded. Corporations and labor unions now are required to fund their political activities through money raised by their political action committees. The death penalty case came in a challenge from Holly Wood, who killed his former girlfriend Ruby Lois Gosha with a shotgun while she was sleeping in her Troy, Ala., home in 1993. Wood challenged his death sentence on several grounds, including the decision by his inexperienced attorney not to pursue and introduce to the jury a psychologist's report about Wood's diminished mental capacity. Such evidence could be seen as mitigating when considering whether Wood deserved death for his actions. The Alabama Supreme Court upheld Wood's sentence, but a federal judge agreed with Wood that the lawyer's performance was incompetent. The U.S. Court of Appeals for the 11th Circuit reversed that decision. The Supreme Court on Wednesday said the appeals court was right. "Even if it is debatable, it is not unreasonable to conclude that . . . counsel made a strategic decision not to inquire further into the information contained in the report about Wood's mental deficiencies and not to present to the jury such information," Sotomayor wrote. She noted that the report contained information about Wood trying to kill another ex-girlfriend in much the same manner. She was joined by Chief Justice John G. Roberts Jr. and Justices Antonin Scalia, Clarence Thomas, Ruth Bader Ginsburg, Samuel A. Alito Jr. and Stephen G. Breyer. Justices John Paul Stevens and Anthony M. Kennedy dissented, saying the lawyer's decision was best attributed to "inattention and neglect." Sotomayor's extensive record as a judge is scant on capital punishment. The pro-death-penalty Criminal Justice Legal Foundation said it was encouraged by Sotomayor's decision to uphold the appeals court ruling. The case is Wood v. Allen.